In the early moments of this sprawling Christmas comedy, characters somehow appear to end up “inside” a snow globe, frolicking in the crystalline white flakes. There’s a lot of snow in Love the Coopers; the stuff never stops falling. I was surprised by the end of the movie that it hadn’t shut down every road in Coopersville, or Cooperstown, or Coopers Knob, or wherever it is the story takes place. Instead, like a gigantic snow globe, the movie just seems to regenerate the same precipitate, shaking it up over and over again—so it doesn’t pile up, it just flies around and re-lands, making everything look like a big, fluffy white winter wonderland, snow on snow. Love the Coopers indeed looks like a picture-perfect Christmas: sumptuous cookies and cupcakes, colorfully coordinated sweaters, coats and scarves, holiday carolers, red poinsettias, green mistletoe, twinkling lights on impeccably trimmed trees. Even the dogs are decorated. 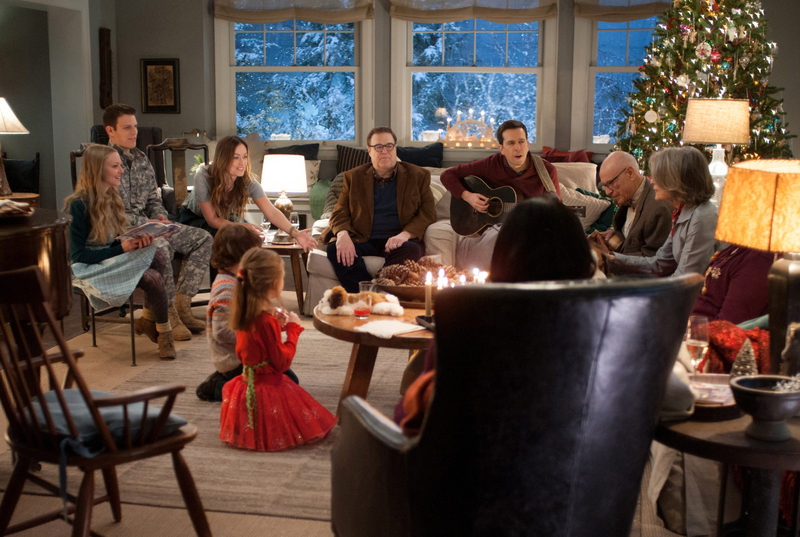 But all the cheery Christmas decorations cover up a big, dysfunctional mess: The Coopers are falling apart, in just about every way. Mom Charlotte (Diane Keaton) and dad Sam (John Goodman) are planning to split after 40 years of marriage. Their grown kids (Ed Helms and Olivia Wilde), Charlotte’s younger sister (Marissa Tomei) and her dad (Alan Arkin) all have issues of their own. There’s also a jaded waitress (Amanda Seyfried), a foul-mouthed urchin granddaughter (Blake Baumgartner), a cop with an identity crisis (Anthony Mackie), a couple of teens working out the sloppy, tongue-twisting kinks of French kissing, a say-anything septuagenarian aunt (June Squibb), and a strapping young soldier (Jake Lacy) who gets roped into the Christmas Eve family reunion as a pretend boyfriend. And a partridge in a pear tree—no, not really. But it does get very, very crowded, and that’s not even counting the narrator, who turns out to be…well, someone whose name you’ll certainly recognize, in a form you’ll in no way be expecting, in a manner that makes absolutely no sense at all. Producer-director Jessie Nelson, whose previous projects include the heart-tugging, high-pedigree gloop of I Am Sam, Stepmom and Corrina, Corrina, remains true to form here, with an all-star cast fumbling around in a deep-dish holiday goo of dumb dialogue, silly shtick and artificial sweetness that feels like a concoction created with ingredients ladled from other, far better cinematic Christmas crock pots—a dollop of It’s a Wonderful Life, splashes of Love, Actually, sprinkles of National Lampoon’s Christmas Vacation. Snow on snow on snow. 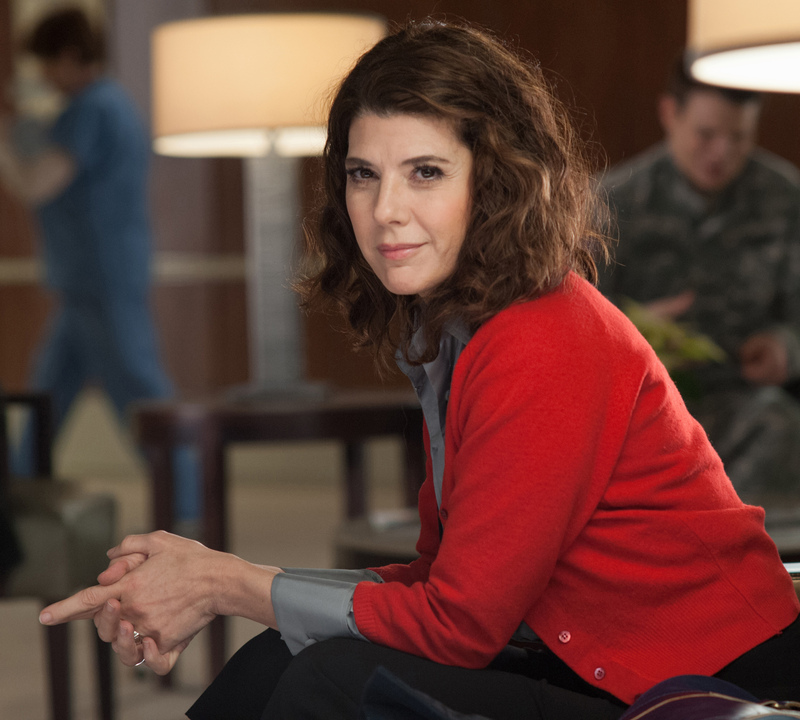 Ed Helms and Alan Arkin sing, a dog gets blamed for a fart he didn’t make and Marissa Tomei hides a brooch in her mouth. There’s mashed potato slinging, Christmas carol mangling, streets full of Santas, gingerbread men in G-string frosting, and a joyous, swirling dance to a Bob Dylan song. And so much snow. But it never piles up—and like the movie, it never adds up, either, to anything more than a slushy, mushy holiday heap of ho-ho-hokum.